• The glider can lift tubular products weighing up to 3600 lbs. up to work floor heights from 4’ to 40’ up off the ground. • The system can measure and deliver a joint to the floor approximately every 30 seconds. 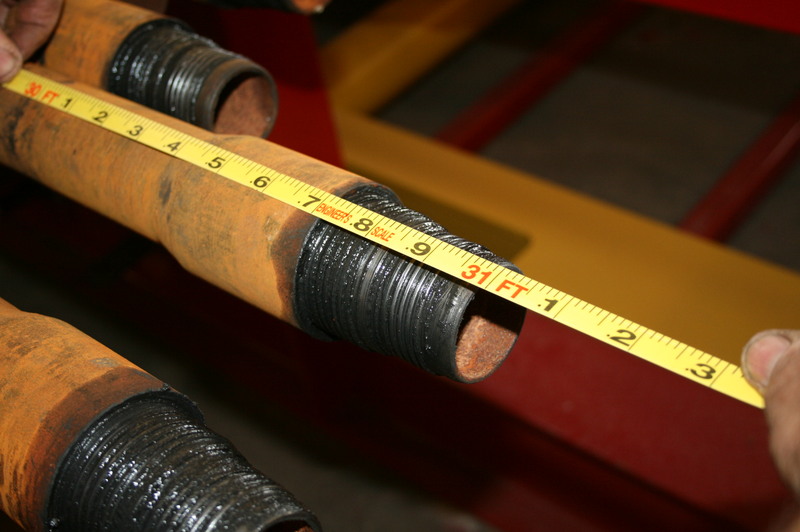 • Each pipe tub can hold up to 6272 feet of 2 3/8” pipe or 4608 feet of 2 7/8”. Two tubs loaded with 2 3/8” and two tubs loaded with 2 7/8” total up to 21,700 feet of pipe. • The trough begins to move up as the skate initiates the pipe measuring sequence. The trough automatically stops at the work floor height. The pipe will not move past the end of the trough until the operator tells it to. • The automated tally system keeps track of every joint. The pipe tally can be downloaded onto a flash drive or be accessed remotely by logging on to a website. 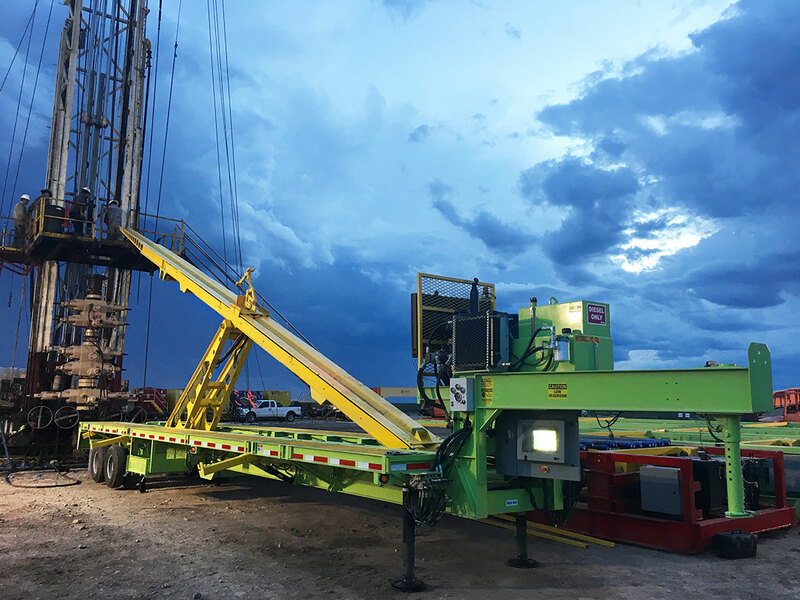 • In all of our testing, the glider has not returned one incorrect pipe length. • Bright LED display that shows the current joint number and depth. The LED display can be read up to 300’ away. 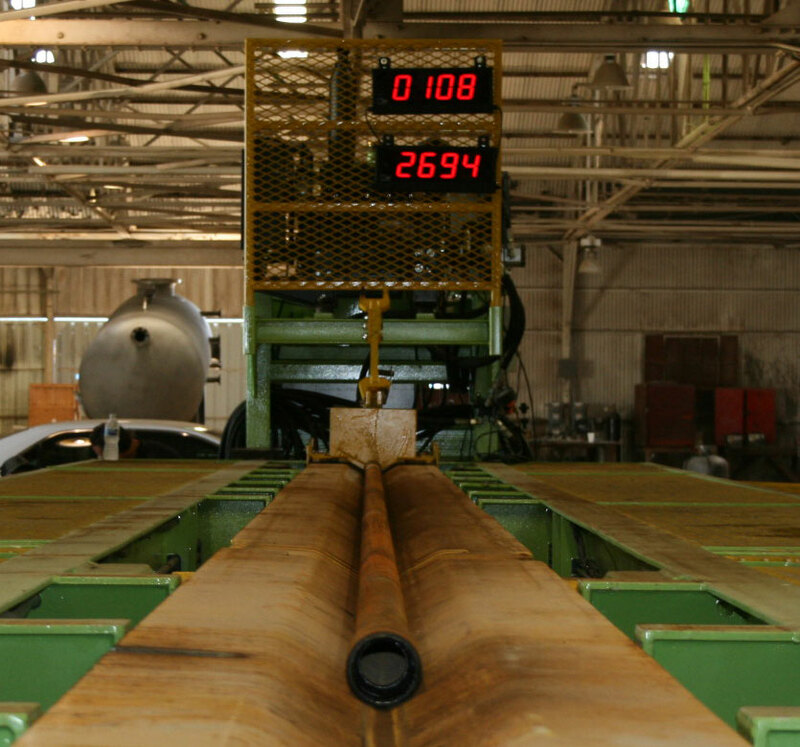 • The pipe is measured and presented to the floor, after which the automated tally updates. 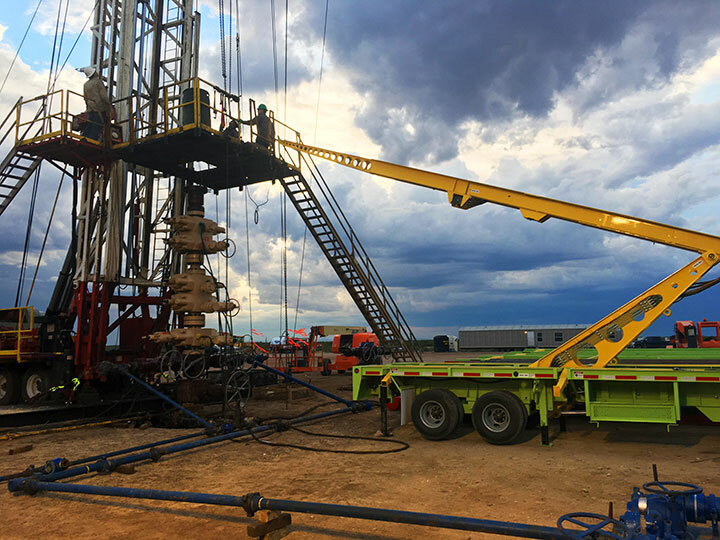 • The automated pipe tally saves the current pipe length and adds it to the tally. Please feel free to contact us for further information on our Pipe Handling System. We would love to discuss the possibilities to work with you. Copyright © 2018 Glider Products, LLC.